Keep The Pasta Coming | All I Do Is Eat! Tony Ferrari, one of the Chef/ Owners of Hillside Supper Club, (also my brother) was finally caught on a pasta making day. On a sunny Monday morning, he is in the kitchen, prepping for the evening dinner service. I was able to get my notebook and camera over to him, to watch skill unfold. To watch technique that the Italians passed along to him. 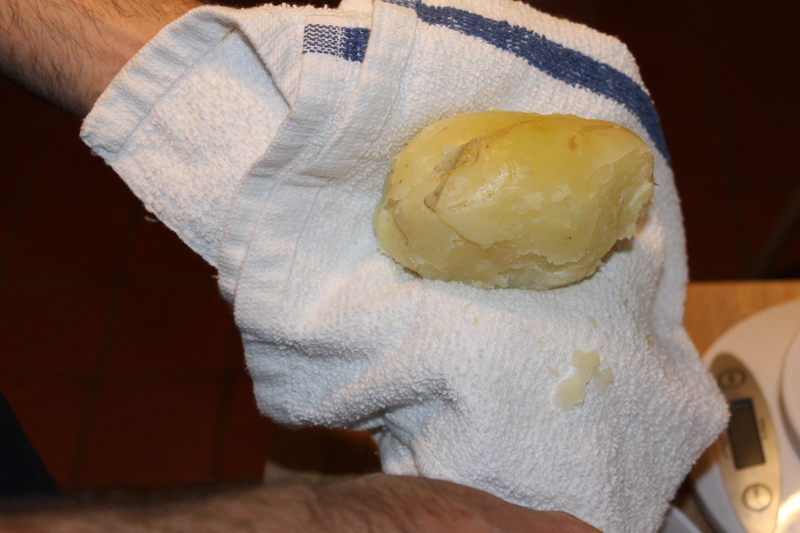 To watch something that my Nonna used to do, when she was once the master in the kitchen. She still is the best in my eyes, and her food can never be compared to. But, when I want food that comes close to hers, I run to my brother when he is making fresh pasta. “Is it really hard to make Gnocchi, bro? I am thinking about making some next week for a friend of mine. 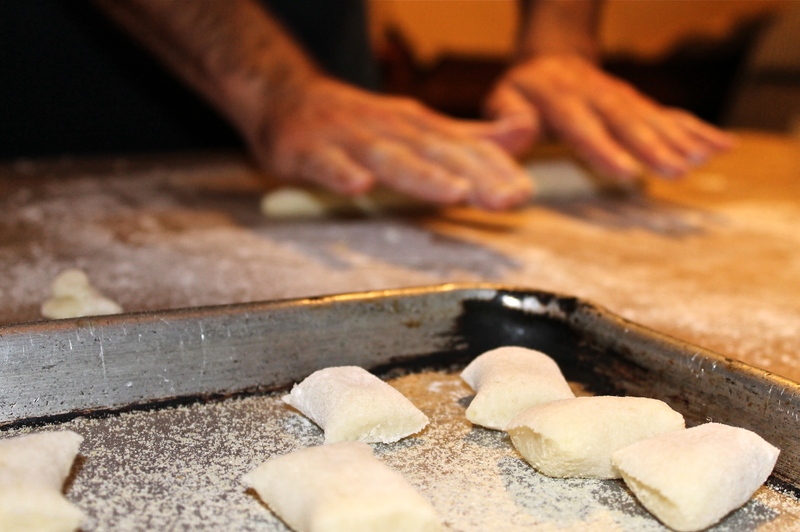 She appreciates good wine, and a good meal, so I may lay out a little skill for her and some friends.” My brother tells me, “It’s simple, but takes a little time, and appreciation.” He’s been making Gnocchi for years, so I know I won’t come close to his, but as long as I try is all that matters. 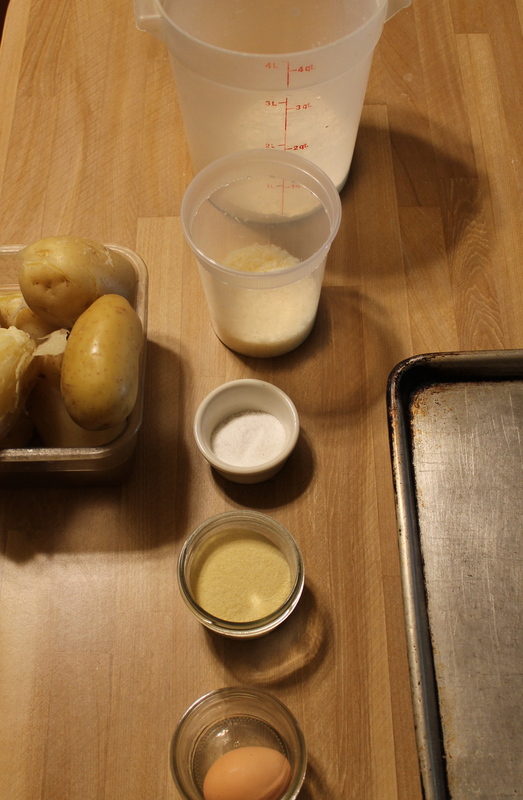 I am unfortunately not going to give out the recipe today, but I just want to talk about these lovely little ‘pillows of love.’ From start to finish, it is a task one has to be prepared for. In the end, the reward is guranteed to blow anyone away. The Gnocchi come out so soft, so luxuriously fresh and mouth filling. Gnocchi are made without the use of a pasta machine. 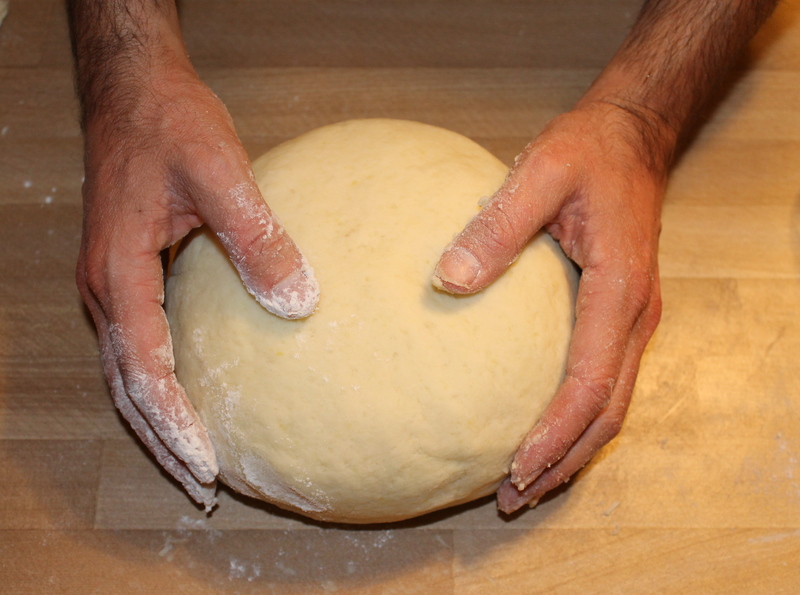 Once the dough is all structured, and has had some time to rest, individual pieces are cut off. 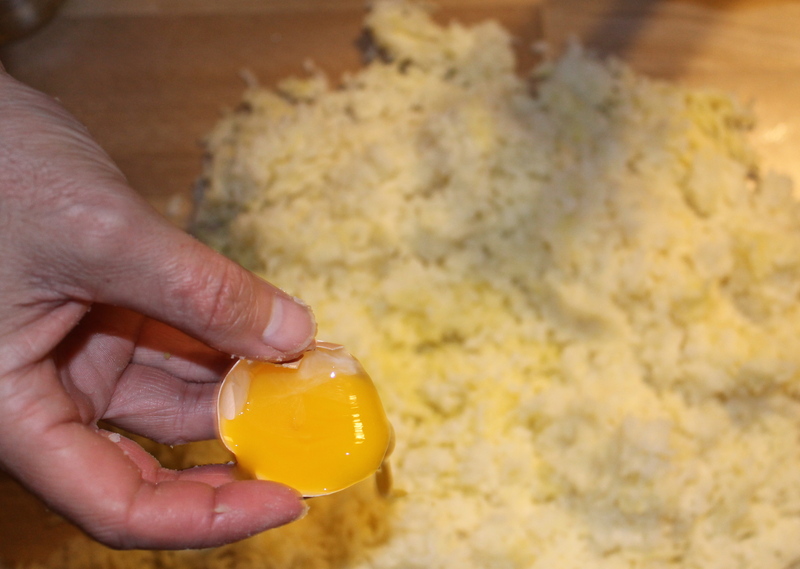 Those chunks get rolled into a snake form, around an inch or less in diameter. 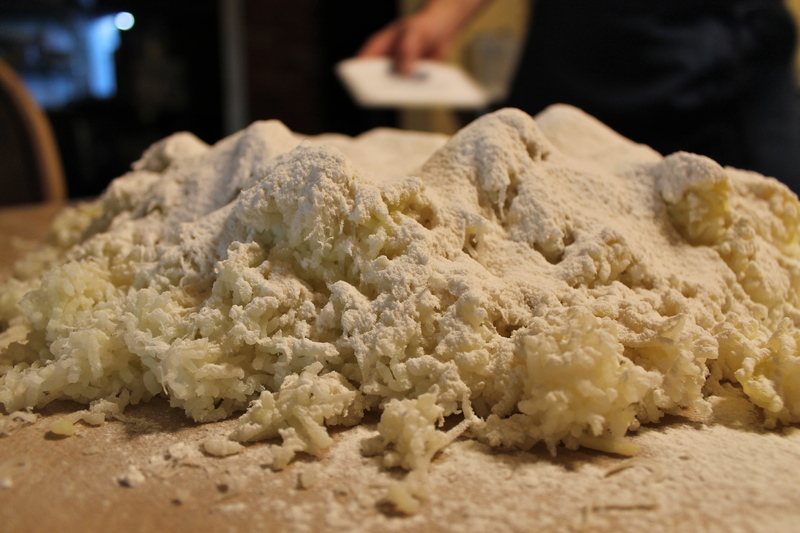 Once it’s rolled out, simply run through it, cutting and scraping off individual gnocchi’s. I always remember eating gnocchi simply with tomato sauce, and any Italian sausage if their was some in the fridge. 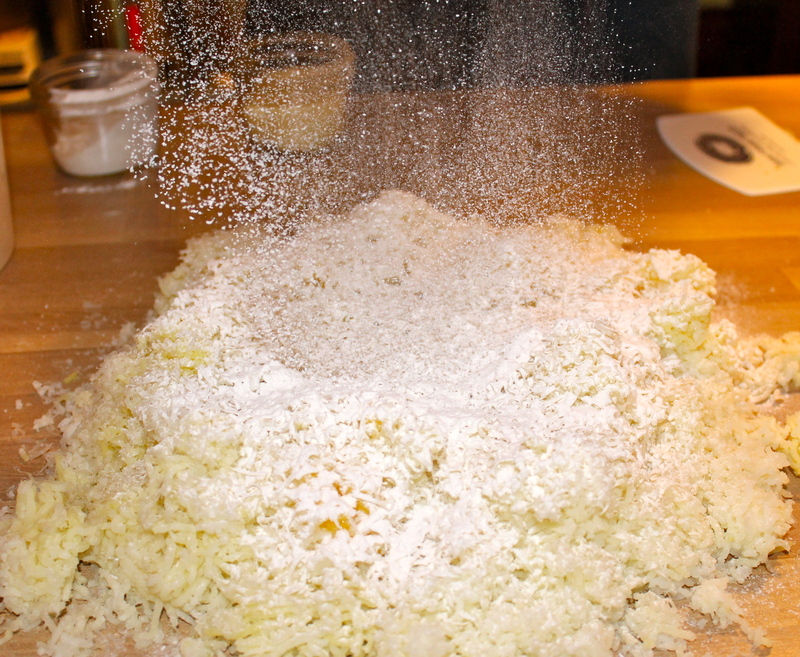 Parmigiano shaved over the top; mmm, thinking about it takes me back. Back to when I would sit with my large family, laughing or arguing (as half of Italian families always do), and eating for hours on end. That’s a great time for me. 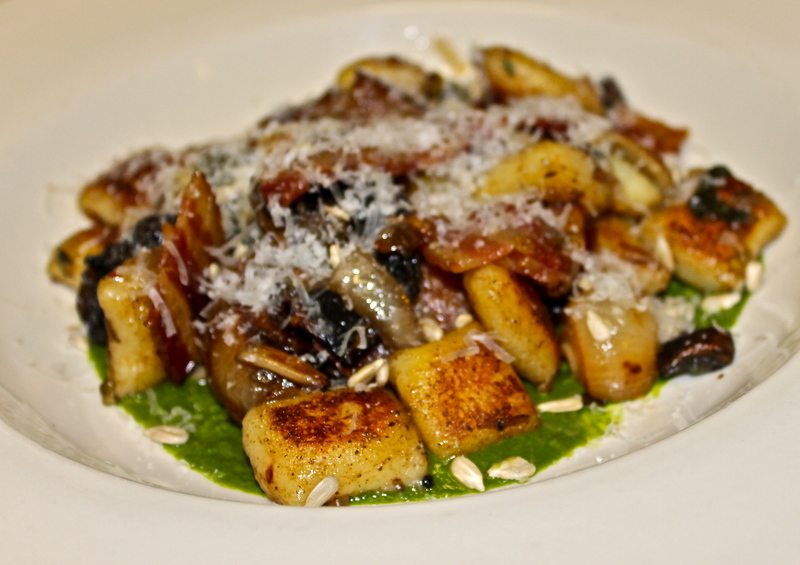 The final dish Tony made was with pesto, bacon, market mushrooms, greens and sunflower seeds. Really comfortable, and warming to the belly! Now that I don’t do that as often as I’d like, I can find my way into Hillside Supper Club sitting down to a comfortable dinner with a dining room full of feasting guests. Or, if I buy my brother enough lattes, I can try to persuade him to make some at his place. But, that’s hard to do, haha! Join Hillside Supper Club on one of the pop-up nights (Monday or Tuesday) for a fantastic meal yourself. Hillside will be transitioning into a full-time restaurant within the next few months, so if you can’t make it now, please plan for a dinner in the future. Food is a passion for these guys (myself included), and coming to eat isn’t just some ordinary meal; it’s an experience to share amongst yourself, your friends, and the staff that Hillside has on hand.